You can purchase the complete Kids' Wings 23-page Unit for The Middle of Somewhere by J. B. Chaeney NOW! Available for immediate download for only $11.95! Click here to purchase and download. ck Here. Ronnie is determined to improve her life! She has practically memorized Seize the Day: Ten Weeks to Supersize Your Life by the famous Kent Clark and is now in the process of putting his advice to work for her. She'll need it. Gee, is her walking, bouncing, turning, running, screaming, whirlwind of a little brother! When a squirrel with the same characteristics accidentally gets into their house, it joins forces with Gee to set of a series of catastrophes that climaxes in their mother's broken kneecap. By a rare coincidence, Ronnie's usually-absent grandfather, Pop, happens by just in time to save the day. His new RV in the driveway makes the perfect ambulance! What will happen when Pop finally agrees to take Ronnie and Gee with him on his wind-hunting trip around Kansas in his RV? Along the way, will Ronnie be able to save the trip by keeping Gee from driving Pop crazy? What will happen when he is found dangling from the top of a 16-story tall steam shovel? You will laugh out loud as the trio explores tourist sites, makes friends along the way, and melts down together. On the way, you'll learn a little about wind power, and the transforming power of family! You can purchase the complete Kids' Wings 23-page Unit for The Middle of Somewhere by J. B. Chaeney NOW! Available for immediate download for only $11.95! Click here to purchase and download. ck Here. A Literature Guide for The Middle of Somewhere by J. B. Chaeney is a part of a collection of 26 units in Transformers. 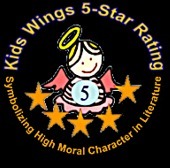 It is perfect for Lesson Planning, Literature Groups, and Honing Test Scores. The Middle of Somewhere is one of the literature guides in the Kids Wings Transformers collection. 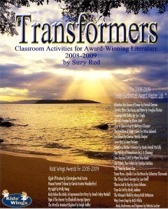 Transformers contains more than 24 literature guides in the spiral-bound book with CD, recorded songs, and site license for one school, you'll find over 6 recorded songs, and 9 Jeopardy-type games. That's only about $ 1.04 per unit! You'll love the books and will never get a better bargain on these professional literature guides written by a master teacher. Available while our supply lasts. Buy The Middle of Somewhere by J. B. Chaeney NOW!